Hans Jorg Kuhlo, born 1957 in Bielefeld, West Germany. His passion: the guitar. In 1974 he studies the Classical Guitar for two semesters with professor Leonard Beck at the State Music Academy in Duisburg, Germany. While practicing, his focus is gradually turning towards understanding, building and improving the instrument itself. Particularly the steel string acoustic types. "I'll be a luthier!" The national guitar industry is not doing well during those years. For the time being, his efforts to find a training place in Germany remain unsuccessful. An apprenticeship in furniture making became a first stepping stone. In 1982 his efforts, always with focus on the Western Steel String Guitar, finally lead to contact with US luthier Tim White, a former student of Michael Gurian. Tim is also editing the “Journal of Guitar Acoustics” magazine. In 1983 Jorg joins his shop in Ann Arbor, Michigan. Eventually, this will lead to a 10 year stay in the USA. Further stops at the homeland of the Flat Top Steel String are the WASHBURN company in Buffalo Grove/Chicago, Illinois, and the factory of GUILD MUSICAL INSTRUMENTS in Westerly, Rhode Island. GUILD’s small but excellently equipped warranty repair shop has a great reputation in the New England states and beyond. It caters not only to stringed instruments of own production. All kinds and types of famous brand instruments, vintage and new, are being treated and brought back to life with Jorg’s hands. With all his skills and experience he eventually settles in Berkeley, California. From 1987 – 1993 he runs his own guitar studio and custom shop KUHLO GUITARS at East Bay’s artist quarter Emeryville, manufacturing and optimising guitars. Since 1994 he has been living in Germany again. 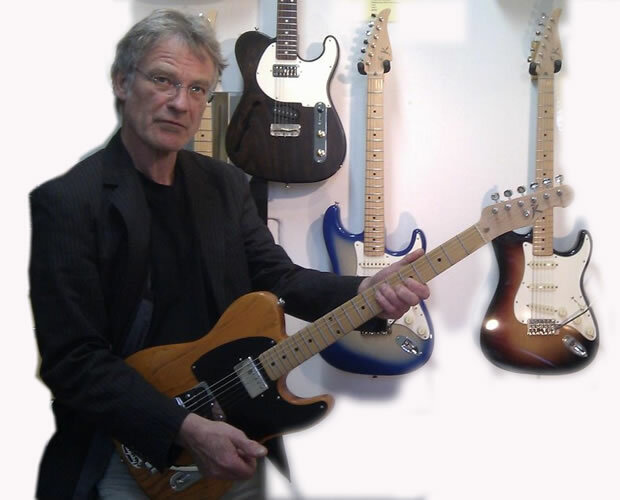 In association with A+D GITARREN- TECHNOLOGIE, otherwise known as plek© master luthier Jorg Kuhlo has been managing the plek© CUSTOM CENTER in addition to his own shop since April 2006.